Röcken is a small rural village with approx. 170 inhabitants directly located at an old established road between Leipzig and Weißenfels in Saxony-Anhalt. The village was first documented in 1232 but established much earlier by Sorbian settlers. 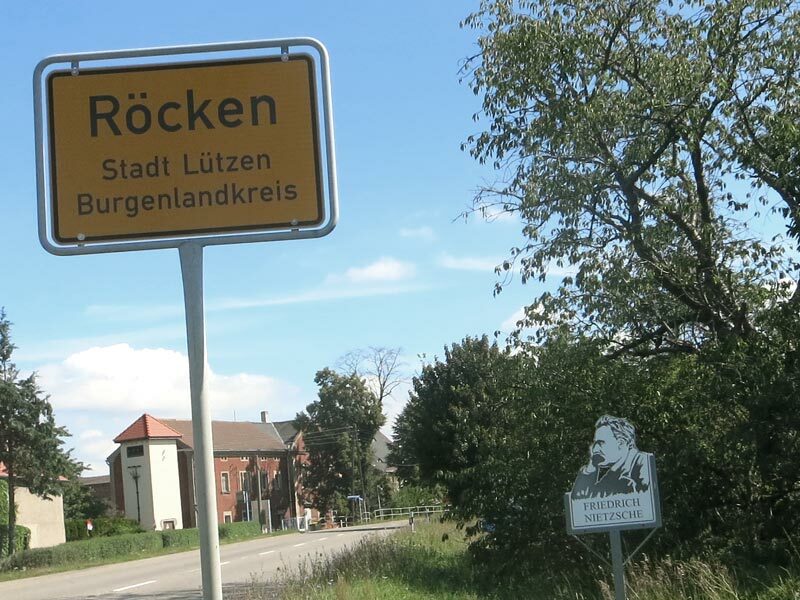 Surrounded by fertile fields, Röcken has always been a simple farming village with a manor estate and small and mid-size farming operations. Friedrich Nietzsche was born on October 15, 1844 as the first child of the protestant village parson Karl Ludwig Nietzsche and his wife Franziska. Here, in the countryside, Nietzsche spent the first years of his childhood in the care of his father, mother, grandmother and aunts. 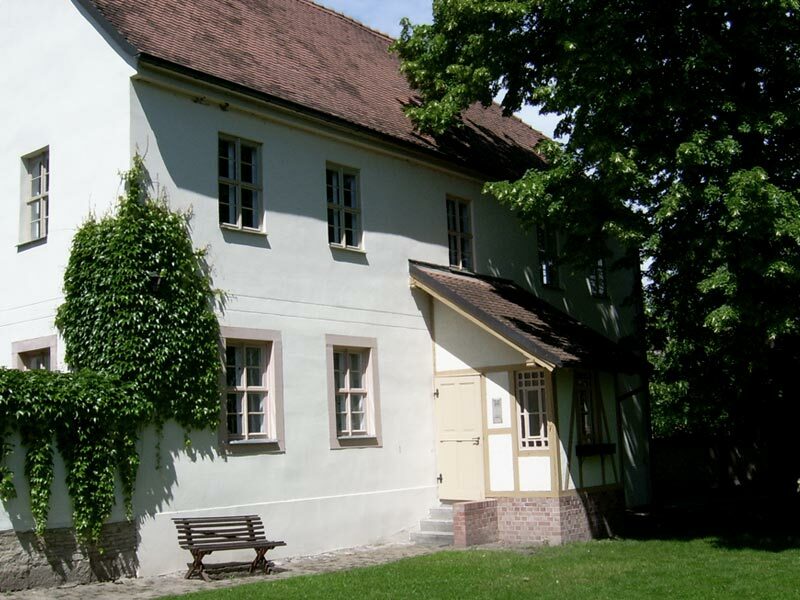 Due to the father's early death the family had to move to Naumburg at Easter 1850 since the parsonage had to be vacated for the incoming parson. 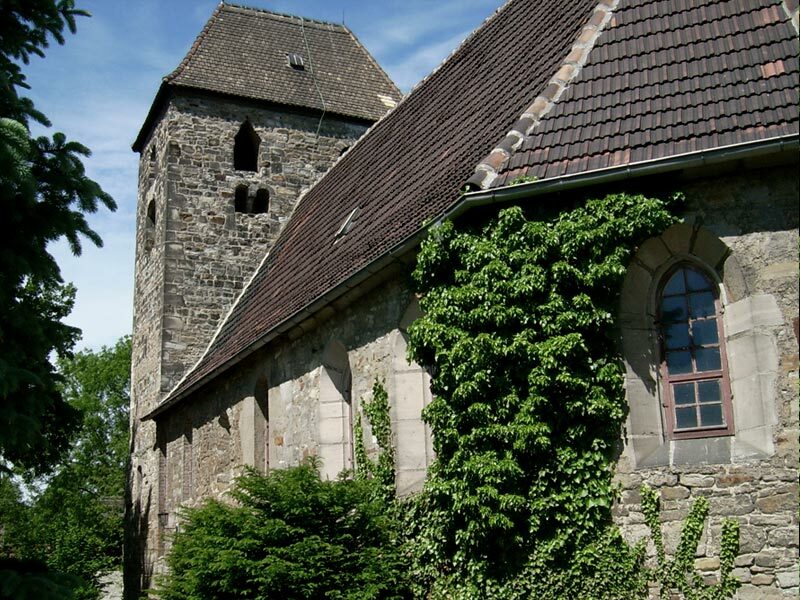 The old village church, his father's church, in which Nietzsche was baptized is worth visiting. The church was built during the first half of the 12th century. With its fortified tower facing West it is one of the oldest church buildings of the region. The romanesque pillars with palmette ornaments, the small 18th century one-manual organ as well as two epitaphs of the last knights of Kratzsch from the 17th century are particularly interesting. After many years of battling illness, Friedrich Nietzsche died on August 25, 1900 in Weimar. Three days later, his corpse was transferred to Röcken and buried in the family crypt on the south side of the church - with bells ringing and quotes from Zarathustra. Hence, his circle of life ended where it began - in Röcken. Only a generous financial donation to the church parish ensured that Friedrich Nietzsche could be buried in the family crypt in the old cemetery. In 2000, on the 100th anniversary of Friedrich Nietzsche, Klaus F. Messerschmidt's sculpture group "Röcken Bacchanal" was inaugurated. 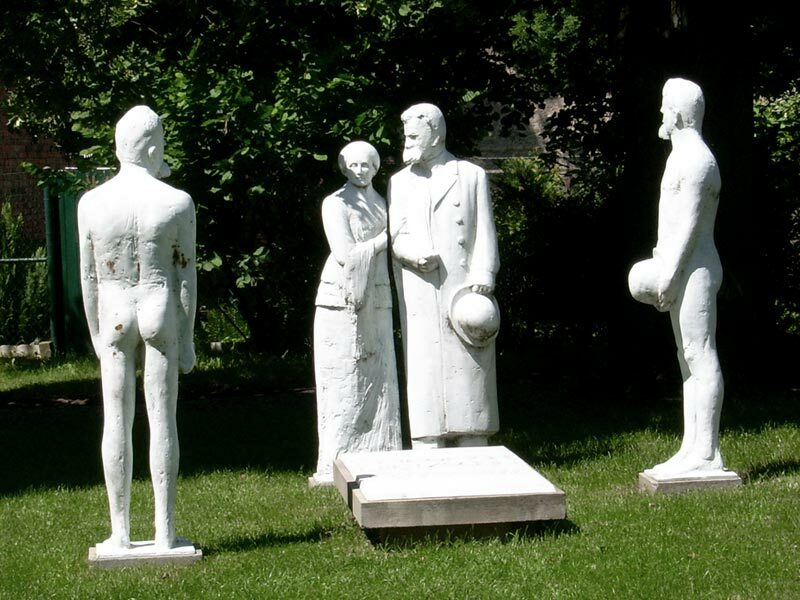 The life-size bronze sculptures with white coating show Nietzsche three times at his own grave. The artist refers here to the well-known studio photo with the scene on his mother's arm and to a vision which Nietzsche described in a letter to his friend Jacob Burckhardt in 1889: "During this fall, and dressed with as little as possible, I attended my own funeral twice." 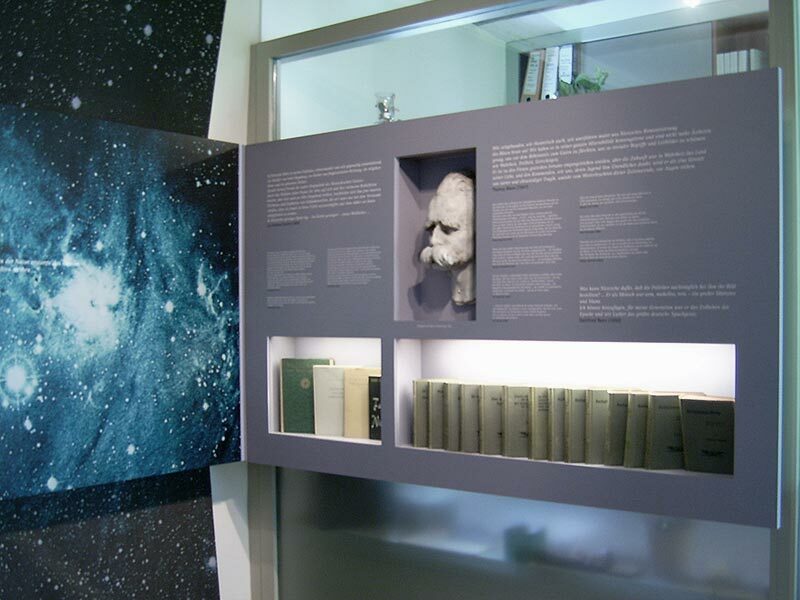 In 2003, on the occasion of the 103th anniversary of Friedrich Nietzsche's death, the memorial underwent some extensive renovations. 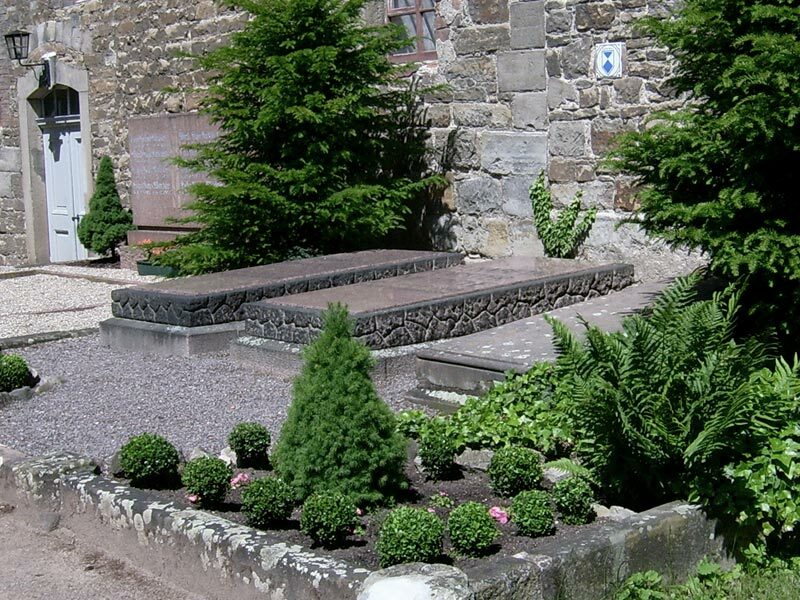 There are now three rooms with details on Nietzsche's childhood, his relationship to Christianity and the history of his grave. The Protestant parish of Lützener Land is responsible for the memorial.